Last night, DifferenceMaker® held its first, ever Demo Day at UMass Lowell’s newest addition, the Innovation Hub on Canal Street downtown Lowell. Demo Day was the final part of a four-week boot camp in which several of our 2015 Idea Challenge finalist teams participated. During the boot camp, teams delved more into their business plan and reached out to potential customers in the community to learn more about opportunities and solutions surrounding their idea. The goal of the boot camp was to accelerate finalist teams’ progress in developing their ventures. 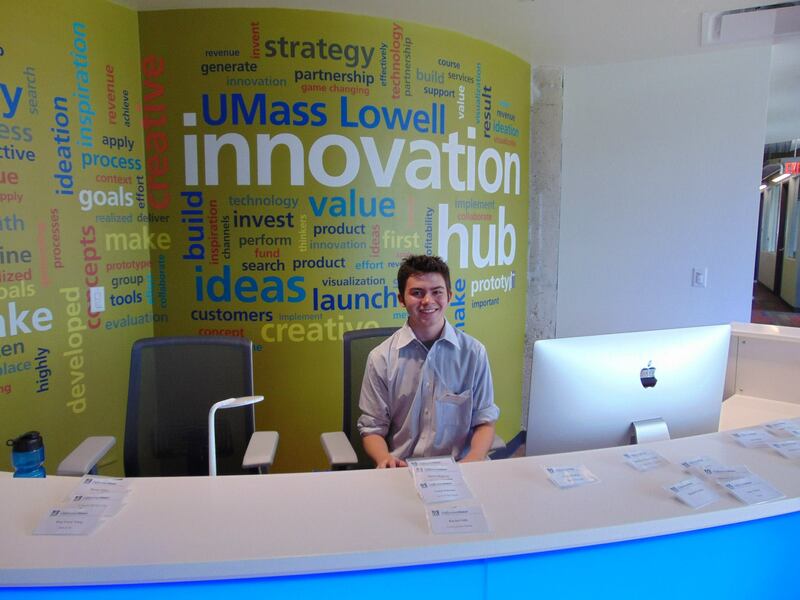 DifferenceMaker Co-op student, Paul, welcomed guests into the Innovation Hub for the event. Demo Day, which took place last night, was an opportunity for the teams that participated in the boot camp, along with other finalist teams, to showcase their progress and to connect with mentors. Attendees included Steven Tello, Associate Vice Chancellor for Entrepreneurship and Economic, Jacqueline Moloney, Executive Vice Chancellor, UMass Lowell alumni, and local business professionals and owners. 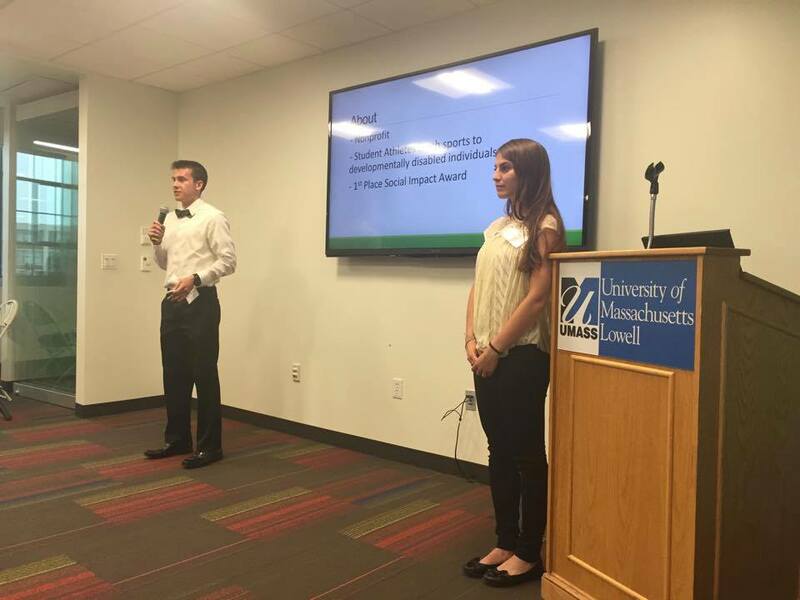 Dan and Jennie shared their DM project, Love of the Game, which is a nonprofit program where students with cognitive disabilities have the opportunity to play sports at UML facilities and with UML equipment, with the help of UML athletes. 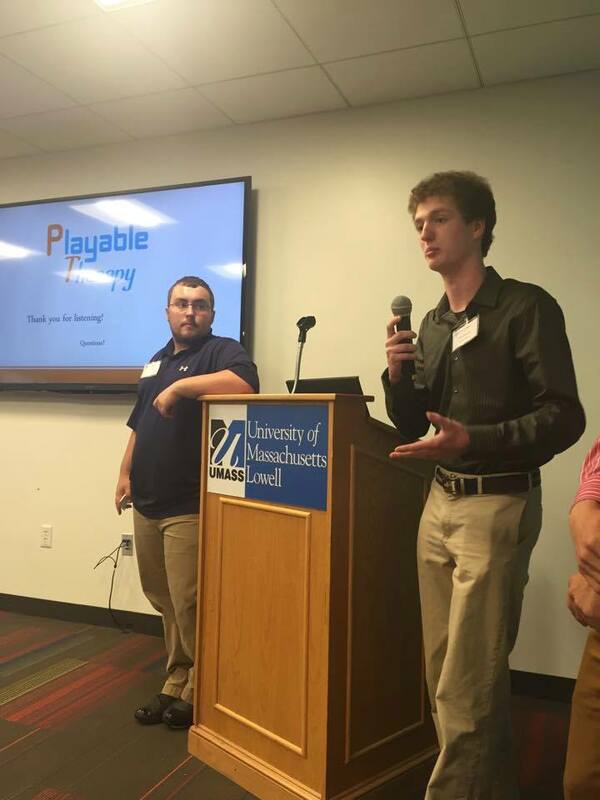 Anthony and Mark share their DM project, Playable Therapy, which is a product where participants can complete their physical therapy routines through a video game that tracks their movement for the use of their doctor. The event included brief presentation by the six teams in attendance, a question and answer session for each team, a poster session where attendees could learn more about the teams, and a networking portion where alumni and local business professionals connected with the teams to potentially mentor them. To learn more about the DM Mentor Program or to get involved, click here.